Root Canals: Why Do They Get Such A Bad Rep? Whenever patients hear the words “root canal” they all do the same thing: cringe. Every time I talk to patients about the procedure I first have to talk them off of a ledge. Each of them has heard a terrible story about someone, someplace, that had the worst experience with their root canal procedure and that they would not wish their worst enemy to need one. Why is this the case? Well, in some circumstances root canals CAN cause pain . These are the stories that we hear about. If a patient has not been going into the dentist regularly for their checkups, cleanings, and x-rays, bacteria can start to grow and they would not be aware of it. In dentistry there are many things that can start to brew that do not cause pain. This is why your dentist and dental hygienist are tough on you so that if something starts brewing we can catch it before any pain starts and avoid it altogether when possible. The pain associated with root canal treatment is due to bacteria that has grown so large it started an infection in the tooth, the gums, and the jaw bone that holds the teeth in place. If you have pain you should seek attention from your dentist immediately so that they can do any emergency treatment and prescribe an antibiotic if needed. Although patients often associate root canal treatment with pain, most patients, when they have a root canal done correctly and are given antibiotics when needed, equate the pain with the same as after a regular dental filling. That is what a root canal essentially is, a filling. The difference between the root canal filling and a regular filling is that the root canal filling goes into the roots of the teeth, which are below the gum line. A traditional filling goes into the crown of the teeth, the part that we see above the gum line. What happens after a root canal is performed depends on which tooth had the work done. For front teeth, often only a regular filling is needed. For back teeth, since they bear the brunt of the forces while chewing, a dental crown is nee ded in order to protect the teeth long term. After the permanent filling or crown is done, the tooth will start to eventually feel like one of your own and you will brush and floss it as you do all the others. Who Performs My Root Canal? This will also depend on which tooth needs the procedure and the level of training of your general dentist. General dentists can complete some or all root canals, depending on their level of confidence and training in the field of endodontics, which is the term for root canal specialty. There is a specialist, an endodontist, that studies root canals in addition to going to dental school. After a residency program in root canals, the endodontist only does root canals and is very highly trained in the practice. If you think you need a root canal or want to come in and see us for a free consultation about other dental concerns, call us at 215.568.6222 to schedule one today. Dr. Meier or Dr. Cirka will do a comprehensive examination of your teeth and your gums as well as take cavity detection x-rays of your teeth. You will also receive a complimentary oral cancer screening in the examination. We look forward to meeting you soon! WaterPiks vs Flossing: What’s the difference? There are many benefits to using floss and to using a WaterPik. Patients often ask me about which is better and if one replaces the other. My answer to patients is always this: you should use what works best for you and what you feel most comfortable with. It really is a case by case basis depending on many factors that will be addressed below. I do not believe that a WaterPik is a replacement for dental floss; however, for patients that admit to me that they hate flossing and won’t do it, I do tell them to invest in a WaterPik. For patients that floss daily and are managing to keep their gum tissue healthy, I do not think a WaterPik is always needed. As long as the tissue remains healthy and I do not see changes, these patients can continue on with daily flossing. Cost: Keep in mind that the WaterPik will be more expensive than floss. They range between $30-$100 and are easily purchased either in store or online. Ask your dental hygienist and doctor if they have a specific recommendation of which to use. It is important to note that the plug-in Waterpiks will have more power and better attachments to use than the battery-operated travel Waterpiks. Ease and Dexterity: Though string floss is easy for some to use, it can take a long time to perform properly. There are also patients that have trouble positioning their fingers properly in order to reach each area of their mouths. For these patients I will often suggest trying a Waterpik to see if it is easier as an alternative solution. Electric Outlet Availability: I think string floss is great because you do not need an electrical outlet. I keep my floss in my purse so that if I have a free moment I can easily grab it. It’s also great in case I’m out and have something stuck in between my teeth. For the WaterPik most require an electrical outlet to work. As mentioned above, there are travel ones available that are battery-operated; however, they are not as powerful and do not come with as many attachments. Patients in Braces: For patients in braces a Waterpik is a great tool. Since it is difficult to floss while wearing braces, it is common for the gums to become inflamed as plaque and food debris stick to the wires, brackets, and can be tough to clean. The motion of the Waterpik dislodges much of the food debris and plaque around the gums and brackets which help keep patients in braces healthier throughout orthodontic treatment. Flossing Quality: In order to get the full benefit of the string floss, it is important for patients to use it properly. Below I will go over some tips for flossing; however, make sure to ask your dentist or dental hygienist for flossing tips next time you are in for a check-up and cleaning. While flossing I find it easiest to use satin floss called Glide which is made by Oral-B. This floss never shreds or tears and it is gentle so I am not damaging my gum tissue. Be sure to wrap each side of the tooth fully, making a “c-shape” with the floss. This will allow you to get the floss underneath the gum line which is where the plaque starts to build. By moving the floss string up with a rotating movement and steady pressure, the plaque can be dislodged and removed. Keep in mind you do not want to move the floss directly down into the tissue. This can not only damage the tissue it can also shove food particles and plaque deeper under the gums, making it harder to reach and more of a problem. Hopefully these tips help! If you have further questions come see myself and Dr. Cirka for a free consultation where we check the health of your teeth and your gums. Hope to see you soon! Should I try Oil-Pulling? What Is It? Oil-pulling has become increasingly popular as homeopathic remedies are becoming more prevalent. While this trend is growing, it is certainly not a new exercise. The practice of oil-pulling dates back over three thousand years ago to India with the practice of Ayurveda medicine. “Ayurveda” brings together the Sanskrit words ayur (life) and veda (knowledge or science). Practiced in India, Ayurvedic medicine is one of the oldest known systems of medicine in the world. The typical way one performs oil-pulling is by swishing around one tablespoon of coconut oil in their mouth for twenty minutes and then spitting it out. 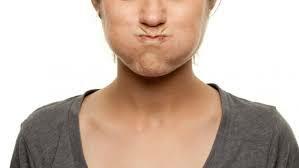 Other common oils that can be used for oil pulling are sunflower oil and sesame oil. Oil-pulling is not just lore based on stories; there is actual science behind it. Most of the microorganisms that live in our mouths are single-celled bacteria. Each of the cells that make up the bacteria is surrounded by a fatty membrane called a lipid layer. Think of this layer as the skin of the microorganism. When the fat in the coconut oil comes into contact with the fatty lipid layer of the cell, they are attracted to one another and will stick to each other. This way when you spit out the oil you are also spitting out the microorganisms. Oil: Choose coconut oil. Although sesame and sunflower oil may be used, coconut oil has an ingredient, lauric acid, which the others lack. Lauric acid is known for helping the body fight harmful bacteria. There is also some new studies that argue coconu t oil can help fight against cavities. Swishing: Be sure that you are gently sucking and pushing and swishing. Do not work too aggressively and cause your jaw to ache. This is unnecessary work and can be harmful over time to your temporomandibular joint (TMJ). Spit it out: If it feels like you have to swallow the oil, you are using too much. You do not want to swallow the toxins that the oil pulled out. Also keep in mind that you should spit the oil into the garbage can. Too much of any oil down the drain can cause plumbing issues. Daily Oral Hygiene: the practice of oil pulling is not meant to replace flossing and brushing and regular dental visits. While it can be an added adjunct therapy that helps improve your health, it is certainly not meant as a replacement. Continue to brush your teeth twice a day, floss once a day, and see your dentist for regular check-ups and cleanings to stay healthy. If you have questions about oil pulling or your oral health, call our office at 215.568.6222 to schedule a free consultation today. Dr. Cirka and Dr. Meier look forward to meeting you!